Marriage is not about just an official relation but more than that it is the bond that acts as the catalyst for the relationship between two people. Today we will be talking about the couple who are not only married but also were the childhood friends. 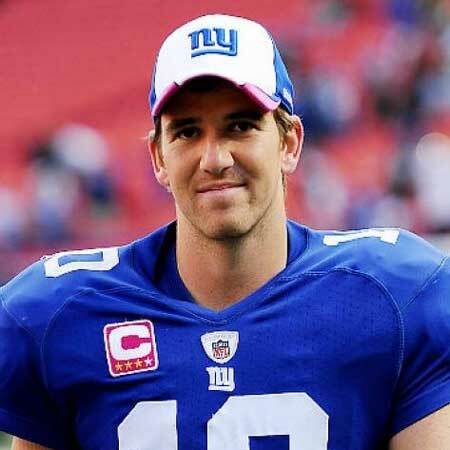 We are talking about Cooper Manning and his wife, Elen Heidingsfelder. Cooper Manning is married to Elen Heidingsfelder since 1999. Manning is the host of the show "The Manning Hour" for Fox Sports. His wife, Elen is a lawyer. 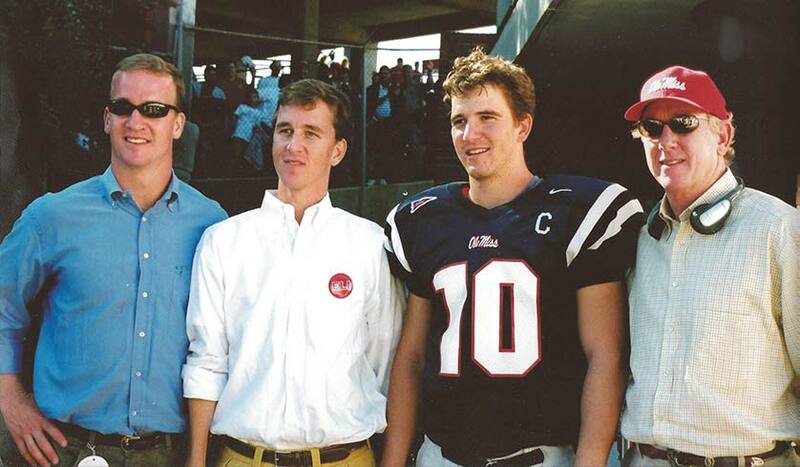 Cooper Manning's father (Archie Manning) is the former professional football quarterback, and he has two younger brothers Peyton Manning and Eli Manning. 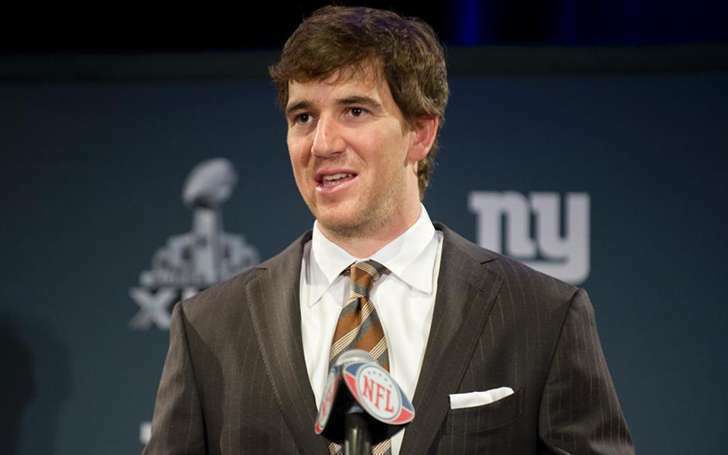 His little brother Eli Manning is also a football player and is currently a quarterback for New York Giants. Peyton, himself is a former professional football quarterback. Cooper Manning also wanted to be a football player of which we will be talking about later and has few regrets about not being able to play, but he is quite proud that his brothers are the part of Superbowl tournaments. Cooper Manning who was diagnosed with spinal stenosis a disease caused by narrowing of the spinal canal, met his now-wife Ellen when they were kids. The future boyfriend and girlfriend were not so close during their childhood days but soon started to get in touch as they grew older. And now it's been nearly two-decade since they got married. Ellen started working as a lawyer based in Louisiana, New Orleans. Image: Cooper Manning with his wife, Elen Heidingsfelder. We must say that they are a real lucky couple as they have known each other since their childhood. When they were young, they might not have thought that one day they will end up marrying. And now it has been a decade since they got married to each other and the good thing is there no sign of conflicts and divorce. Cooper and his wife Ellen have three children together, a daughter May born in 2002, and two sons, Arch born in 2004, and Heid born in 2006. His son Arch is named after Cooper's father, Archie Manning. As Manning's first child was a girl and his family is popular for football, he was thrilled that nobody was asking her daughter if she was interested in football. Cooper's father is a footballer, and it would make sense when we say his father wanted his eldest son, Cooper to be a football player too. Cooper grew up around football, and he was a fantastic player and was a star receiver in the field at Isidore Newman High School. He was 6ft 4 and 185 pounds, and according to the observers, he wouldn't miss a pass. Even when he was covered, you could always loft it up high and he’d catch it. No defensive back could stop him – he was taller than they were and he could leap well. This creates a perfect comfort zone for the quarterback. Hey, you think, Cooper’s either going to catch the ball or make sure it’s incomplete. Manning was also good at basketball. His team won a state championship back in 1993. During that time Cooper felt he was having some problem with his right hand while he was playing basketball, which he ignored thinking to be a minor injury. Sounds like a movie, but later, when the symptoms got serious he got diagnosed with a congenital condition known as Spinal Stenosis which makes the spinal canal narrow. His dream then shattered. He started playing football when he was in fifth grade. It changes your whole world. I’d played organized football since fifth grade. And here I was at school, making friends, living in an athletic dorm, and all of a sudden, they tell you you can’t do that anymore. I had to struggle with it for a while. Yeah, I guess I played my entire career a hit away from the wheelchair; thank God I was kind of a wuss and ran out of bounds so many times. He went through different surgeries and rehabs. We must say that Cooper is a brave man who didn't give up. He later joined Fox NFL Kickoff back in 2015 and started his own weekly segment " The Cooper Manning Hour." Before this, he worked on the radio. Cooper Manning life doesn't have any ordinary story. He had his days and when it was about to change it took a different turn. If he hadn't had that condition, then we might have seen a different Cooper Manning.